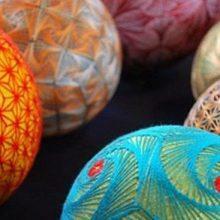 I am often asked what inspires me to create knitting patterns. Sometimes it is a particular yarn or yarn colorway. Sometimes it is the need or desire for a specific garment. Sometimes it is some glorious feature of nature. And sometimes it is Microsoft Excel spreadsheet software. 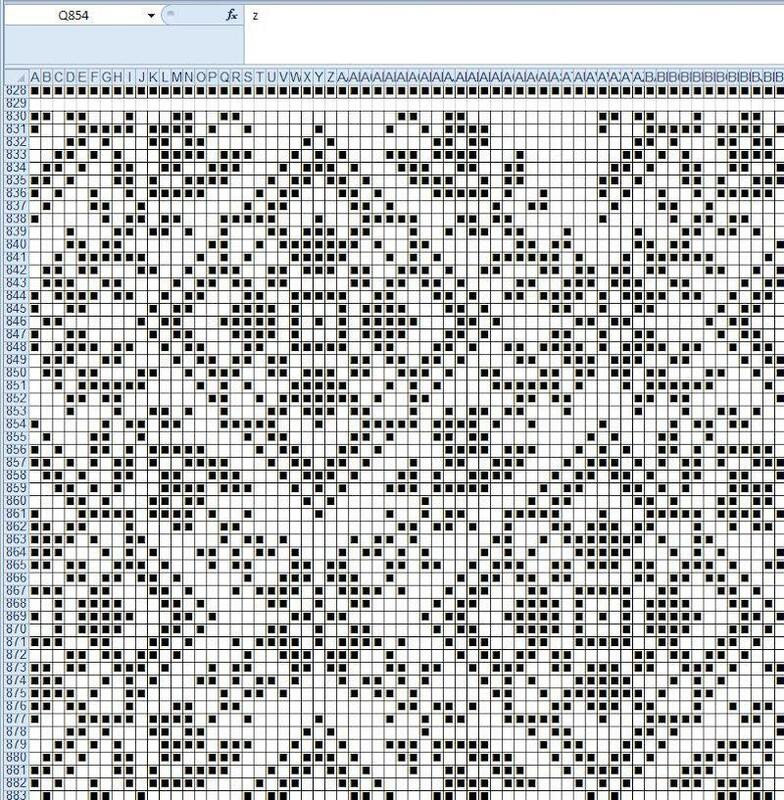 Apart from knitting, one of my favorite pastimes is charting colorwork patterns using Microsoft Excel. 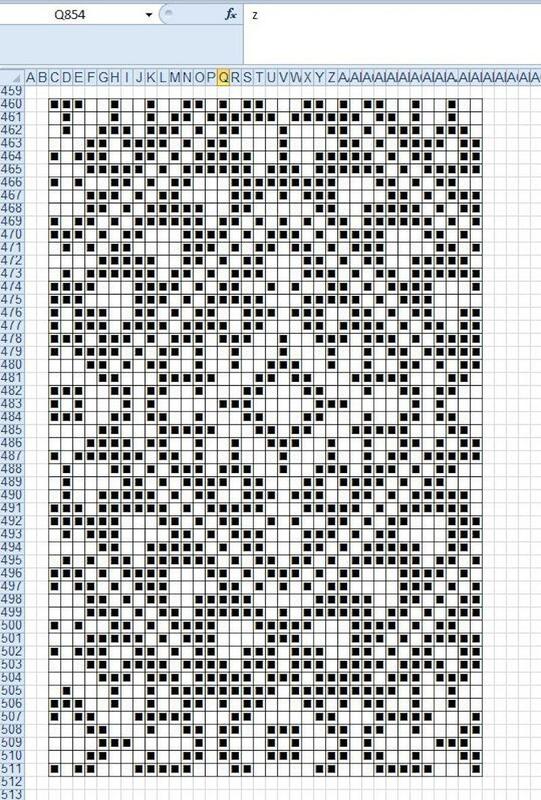 I learned early on that one can easily adjust the cells on a spreadsheet to make electronic knitting graph paper. I can (and do) spend hours happily charting colorwork patterns. Some of these patterns I find in vintage pattern booklets, some I alter to suit my taste, and some I create. 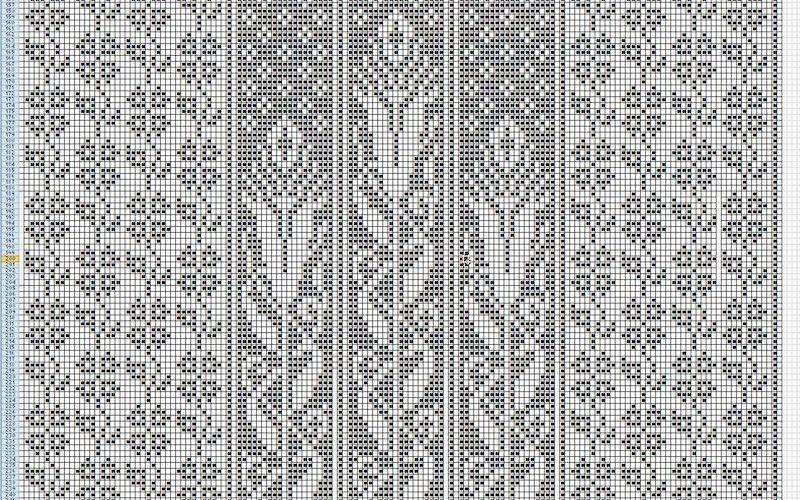 All of this charting has led to me designing and knitting over the past few years a series of colorwork cowls that used a variety of different colorwork charts. All were great fun and very satisfying, but I wanted to take things a little further. This past spring I started thinking about a colorwork jacket. I wanted to knit an outerwear garment in an all-over colorwork design. 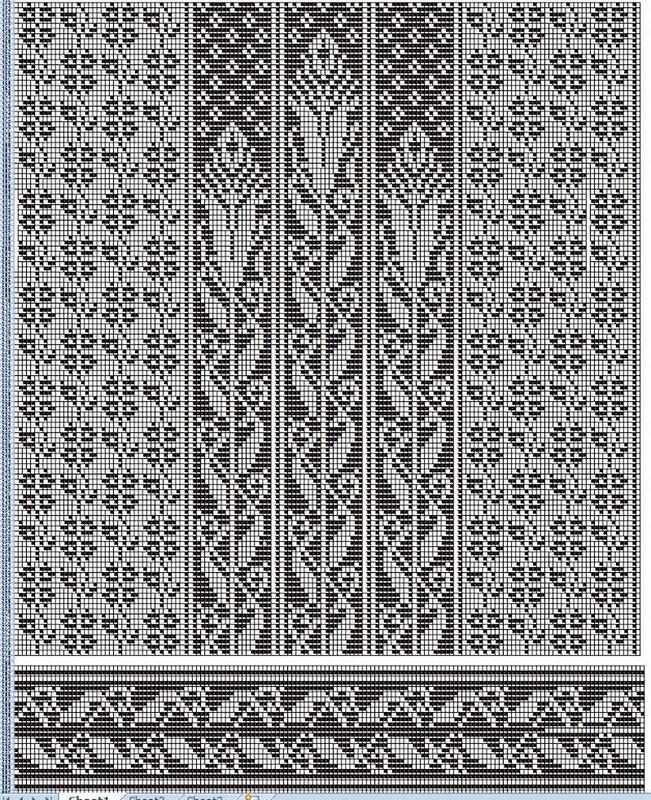 A fan of Nordic knitting, I searched for and found a chart I liked in a vintage Scandinavian mitten booklet. So I fired up Excel and started charting. This was what I came up with. I like the single flower motif. It’s pretty, but I thought that I’d get bored pretty quickly knitting the same flower over and over. It was around this time that I discovered that there are many, many old charts on Pinterest. So Chart Number Two was created. Nice . . . but not quite. Chart Number Three soon followed. Maybe this was a little too busy? At this point I had narrowed down my yarn options. I decided I wanted to use Blend, the newest yarn from the genius dyepots of Wollmeise in Germany. 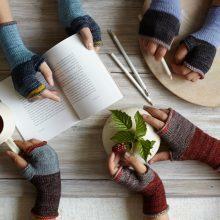 Blend is a sportweight yarn comprised of 70% Merino, 20% Cashmere, 10% Nylon, and it comes in a giddying array of colors. And I wanted lots of colors! Late one night in July I was scrolling through Pinterest and I found an old chart that grabbed my attention. 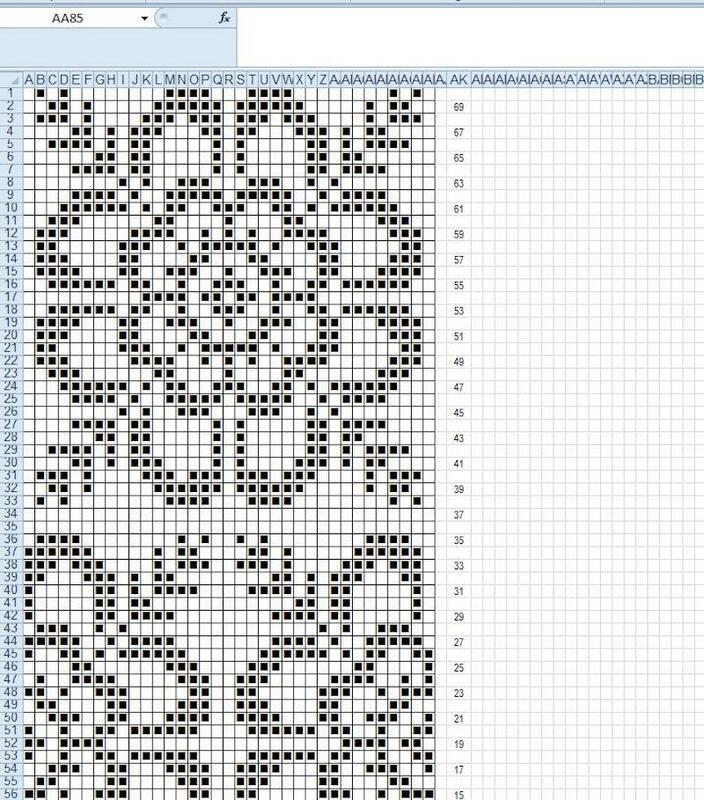 With a lot of tweaking, it became my pattern chart. Next I needed to create a pattern that incorporated this chart. I wanted the Art-Deco-y looking panel in the center back, as well as on each side of the front bands. I wanted the smaller motifs filling in on the sides and a border all around the bottom hem. 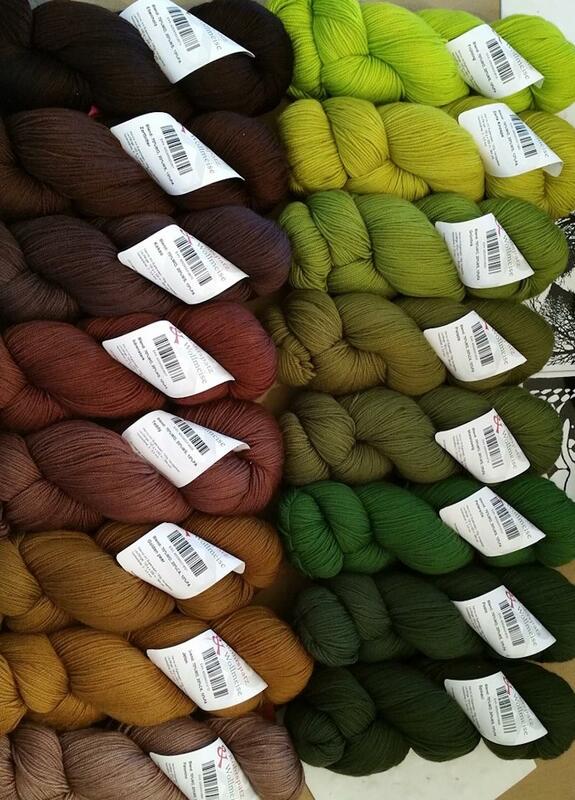 I believe “less is more” when it comes to shape for an intense colorwork garment. Let the colorwork do the talking, and keep the shape simple. I decided on a kimono style jacket with dropped shoulders. A quick colorwork swatch gave me stitch and row gauge for my design, so I figured out how many stitches around I needed for a nicely oversized jacket. I placed my motifs with relative ease: the Art Deco-y panel took up “x” number of stitches in the center back, and I filled in on each side with the smaller motifs. Same with the front, except I took out the middle Art Deco-y flower—that place would be taken up with the front bands. I took the “stemwork” from the Art Deco-y flowers and laid it on its side to create the chart for the bottom border. I decided that the sleeves would be just the all-over smaller motifs with the border at the bottom. I’ll deal with the sleeves later. So, a pattern was born! 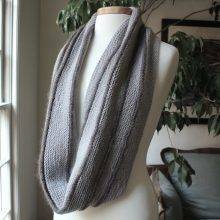 Still using Excel, I created charts that I could actually knit from. Now . 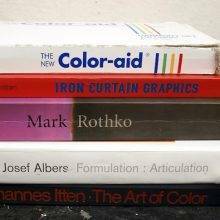 . . what colors to use? I had an idea to do the background in stripes of varying shades of one color and the contrast in stripes of another. My final choice (which will not be a surprise to anyone who knows me) was browns and greens. Much ordering of Wollmeise Blend commenced. The last thing I needed to do was to figure out how many rounds to knit of each color. I wanted both the background and contrast colors to be knit in bands of color, but I did not want to change both background and contrast at the same time on the same round—I wanted the color changes of each to be offset. Each repeat of my pattern is 18 rows, so I decided on 9 rows per color. I wanted the background to be knit light to dark, back to light, then back to dark, and so on. For the contrast color I would do just the opposite: dark to light, back to dark, back to light. I assigned numbers 1 to 8 to the background colors from light to dark, and letters A through H to the contrast colors from dark to light, and after a lot of fiddling around, came up with a chart for when to do the color changes. Pattern charts and color shift charts in hand, I was ready to start knitting! As a person who struggles to use Excel in the most rudimentary way, I’m amazed that it is such a tool of creativity for you! I am both terrified and intrigued at the same time. These are appropriate emotions lol! Where can we follow the work in progress? Right here on MDK! Wendy has graciously agreed to share the whole process with us. Stay tuned! Great article, Wendy! I am in awe of your creativity and sense of design and style. I look at Excel spreadsheets all day and only see numbers. You’ve just opened up an entirely new world for me where Excel is concerned! I am so impressed. I can’t even begin a three color cowl without swatches flying and teeth grinding. This will be fascinating to watch. Wendy, you are wonderful. And, oooh, I love a cliffhanger! I can hardly wait for the next chapter. I’m so happy to see Wendy here. She’s my hero & I love everything she touches. Kay and Ann, I know you are building your business, but I’m seeing that you seem to be exiting the personal and fun blogging you used to do. I was afraid of that when you announced what was coming. 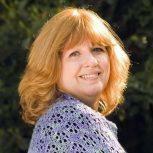 You were one of the few blogs to actually be personal blogging, rather than market-blogging. I really hope you’ll add more of the personal back in. Thanks. p.s. this has nothing to do with Wendy who is amazing and whom I’ve also been following since the dawn of time aka 2004. I am finding that in the letters section of the site. This is thrilling already! Why does Excel seem so intimidating and complicated? I am really motivated now to figure it out. This is so crazy and I love it. I’ve definitely used excel to chart out graphs before, especially when they’re from a book I don’t want to drag around or when I want to use more than one chart and need to see them next to each other. Can’t wait to see the finished coat! It sounds amazing. 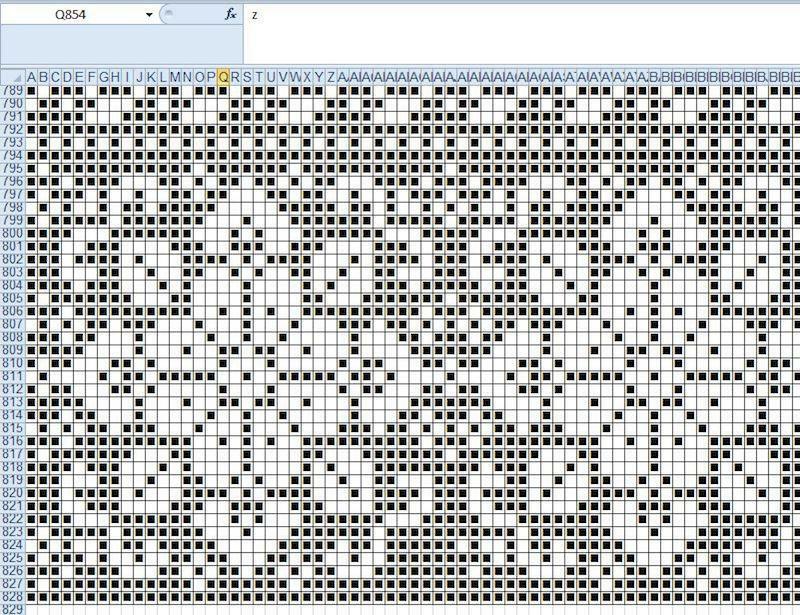 Oh Wendy, I wish you would share your settings to make knitting graph paper. I’m sure trial and error will solve it but it will take away from my knitting time. I did talk about the process a bit on my blog last April, here: http://wendyknits.net/2016/04/06/insane-cowl-posse/ — though I did not give the exact numbers for creating the graph. 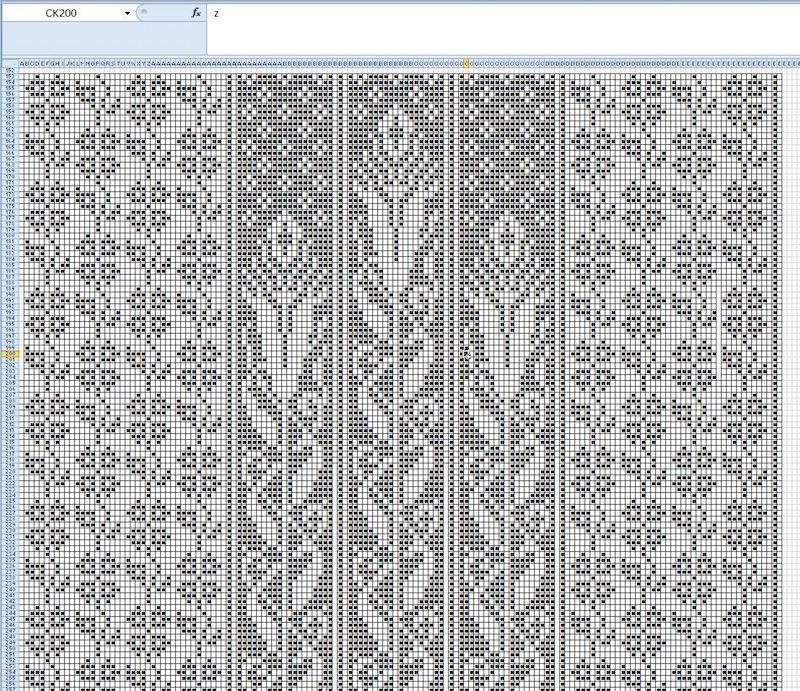 I simply set the column width and the row height to 0.01″ — you could also make the column slightly wider than high to emulate a stitch. You can fiddle with those settings to suit yourself and you can zoom in as much as you want. That’s one of the reasons I love Excel so much — it is so customizable! Thank you all for your lovely comments. I’m so pleased that you’ve found my process interesting. I hope you’ll enjoy the next installment as much as this one! Wendy, this is so thrilling to watch your process. Looking forward to the next update. I’ve followed your blog for a long time. My first charts were based on your Excel instructions. Thanks for sharing! Wow!!! I’m in awe!! Really, really, really want to see a picture of the finished product if at all possible. All I can say is Oh MY OH MY! Wow! Excited to see the finished product! I have been following Wendy for years, and she never ceases to amaze me. This is a wonderful lesson in color charting.